This is a new day for Victoria and Victoria. Not least, Melbourne has apparently ceded all fields; I suppose no one could blame him for not wanting to advise the queen on her marriage, but that means Victoria’s been left to navigate court politics and her marriage alone. The good news is, one of those is going really well! The bad news is, the other one was what “The Queen’s Husband” needed to sell. 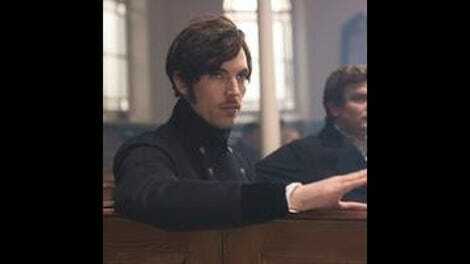 The show’s solid about Victoria’s statecraft by now. She manages to maneuver Uncle Sussex into accepting Albert’s precedence by making him a stronger ally, and also avoids upstaging Albert on his big day, all while ignoring that cholera outbreak like a champ. In fact, this is the most confident and independent we’ve ever seen Victoria; she may mourn Melbourne’s absence, but she’s so competent at her job that “The Queen’s Husband” frames it as an element of horror. Not for us, of course—for Albert. Albert is very precariously positioned here. 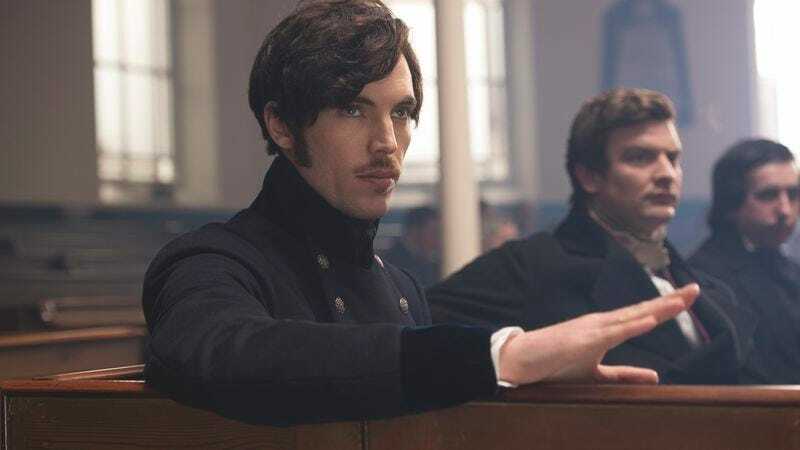 He’s surrounded by such elevated, dismissive Englishness that at times Tom Hughes is a heartbeat away from pulling a Jim Halpert directly into the camera, and this episode definitely sells how confined and alone he feels; the camera follows him like a nosy steward, and we never even see him on the grounds unless Victoria’s with him. On the other hand, it’s always tricky to try to drum up a lot of sympathy for a man chafing under the confines of a well-meaning role reversal of a patriarchal norm. Victoria loves him and is enthusiastic about including him in her life, and even Albert seems to acknowledge that affection certainly isn’t lacking. If he feels adrift married to a monarch, well, plenty of queens have managed. This isn’t a ding at Hughes—he makes Albert’s frustration very human, and the episode itself supports his view of things, keeping him in separate frames from Victoria in key moments. There’s also some great visual shorthand early on in Anson looming over the seated Albert, correcting his pronunciation. That narrative disconnect gets a neat visual example here. The shot of Victoria and Albert walking down the lines of courtiers at a state dinner has all the surreal sumptuousness and evocative choreography you need for a fantastic long take. But the camera cuts back and forth to the front view in fits and starts as if it’s afraid that you need to see everyone’s faces or else you’ll lose track of what’s happening—as if we can’t be sure they’re uncomfortable unless the camera keeps checking in, and their emotions can’t be conveyed in the wider shot in a way we’d accept, which seems strange given how much more compelling that shot looks from the back. That intercutting interrupts the sense of bewildering grandeur that Albert’s steeped in; even the dread of Victoria running this incredibly polite gauntlet gets drained with every round of cuts to pensive close-ups. The point of this episode is to take Victoria and Albert through their honeymoon and ease them through the first difficulties in their marriage—specifically in a landscape that lacks input from the older generation. Melbourne and Leopold are gone, and no other political figures do much this episode but grump; even Victoria’s mother is functionally absent. The point of “The Queen’s Husband” was to force them to find their equilibrium. For the moment, they have. But satisfaction in their marriage was historically a set of moving goalposts, and the gulf they were facing at the beginning of this episode has closed only by two inches. There’s a reason the score tends to be mournful in their bedroom scenes; it knows that as soon as they get out of bed, their problems start. Lord Melbourne may be gone, but darned if they let that stop them invoking his name and counsel like he sailed to the Grey Havens eight hundred years back. The matching-dog jewelry seems absurd for however long it takes you to remember that Ralph Lauren has a line of dog clothes (in extended sizes!) and Versace makes pet bowls—so, three seconds? Mr. Barrett gets so white-saviored he ends up having to give Albert a tearful slow clap that might take the cake for Victoria’s most uncomfortable moment yet. On the other hand, in the face of some patronizing comments about royal protocol, Cornell John manages to deliver a perfectly acidic “Should I tell him he can call me Jonas if he wants?” into a beat of British people finding that Silently Upsetting, so that’s nice. One of the things this show is struggling the most with, in a way I find hard to articulate, is that it’s competent without ever being that deeply engaging. This episode, like a few episodes in the center of this season, is dutifully moving everything where it needs to go, and Coleman and Hughes are incredibly game for everything, but the spark of deep feeling is missing, and there’s not enough interesting narrative remove so far to make up the slack. In between framing a Dickensian urchin for theft and leveraging Miss Skerrett’s worry for her friend for a personal favor he intimates is sexual, Francatelli found time to leave a royal-icing initial on Miss Skerrett’s pillow. She seems to have warmed to him in the wake of his help, but Nancy, listen, that kind of thing is what serial killers do. Act before you are acted upon. As narratively presented and weighted, I do not buy Ernest and the Duchess of Sutherland whatsoever. As an excuse to bring “toxophilite” to PBS, I’ll allow it on a technicality. As a David Oakes face journey, it works marvelously. I should have known somebody was going to eventually harrumph “Women!” amid all of this, I guess. Unfortunately, this will be the final recap for Victoria. However, I’m glad we’ve left them in this moment of relative accord, before grappling with children or skipping past too many other historical benchmarks. My only regret is that we’ll be left to imagine the practical limits of David Oakes’ pining face, which I expect was going to make a decent showing even against Rufus Sewell.